Asus had launched its Zenfone Max Pro M1 smartphone in India last month and the phone went on pre-order exclusively on Flipkart yesterday. The phone went out of stock as soon as the pre-orders opened at 12 noon. The company says that Zenfone Max Pro M1 will be available for next sale on May 10, 2018. Asus without revealing the number of phones it put up for the first sale, said that it had got a tremendous response from users. Though some users were complaining that the 4GB RAM version was sold out quickly and the 3GB RAM model was available only for pre-order and it went out of stock after few hours. The company might have enough stocks to meet the demand for next sale on May 10. Among the three variants of the smartphone- 3GB / 4GB / 6GB RAM, the 6GB model was not available for sale as of now. The company says that the 6GB RAM version with 16MP primary rear camera and a 16MP front camera will be available within six weeks. The ZenFone Max Pro M1 price in India starts at Rs. 10,999 for the 3GB RAM and 32GB storage variant. The 4GB RAM variant costs Rs. 12,999. As for the launch offers, Vodafone will offer ZenFone Max Pro M1 buyers 10GB complimentary data for 12 months. If we talk about specs, ZenFone Max Pro M1 sports a 5.99-inch FHD+ IPS Full View display with an 18:9 aspect ratio. The phone runs a pure version of Android 8.1 Oreo and is powered by an octa-core Snapdragon 636 SoC. 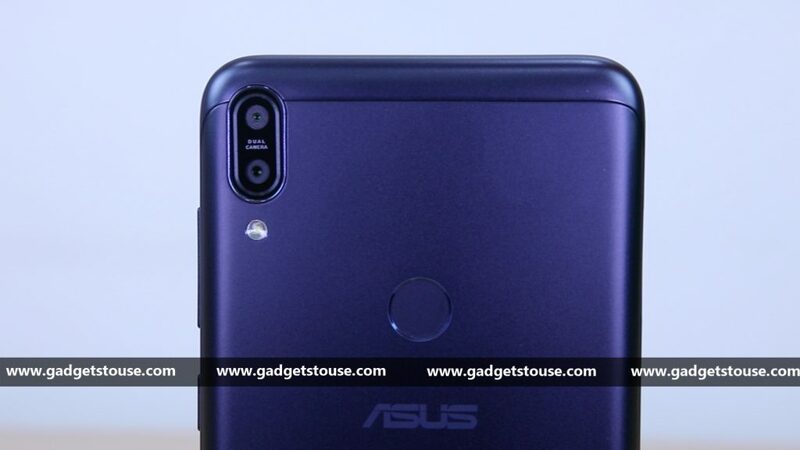 As for the camera, the ZenFone Max Pro M1 sports a dual rear camera setup with a 13MP primary sensor with f/2.2 aperture and a 5MP secondary sensor. There is an 8MP selfie camera with f/2.0 aperture. The phone is powered by a big 5,000mAh battery with a bundled 10W charger. ZenFone Max Pro M1 has recently got an update that added Face Unlock feature, April Android security patch and several improvements such as the camera.